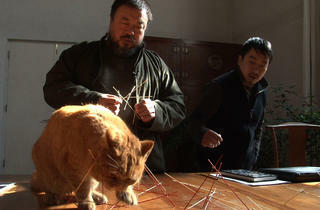 It feels like the Chinese artist Ai Weiwei has barely been out of the news over the past four years. Some things about him are well-known. He’s the artist who designed the Bird’s Nest stadium for the 2008 Beijing Olympics. He’s the man who in 2010 filled Tate Modern’s vast Turbine Hall with porcelain sunflower seeds. He’s the activist whose increasing run-ins with his government climaxed with his 81-day detention in 2011. But it also feels like much of what we know about him is superficial or clouded by distance, so this documentary is a welcome chance to get closer to his life and work. Alison Klayman’s film offers a lively and rounded view of Ai. She gained impressive access to him during 2010 and was able to draw on his archives and speak to his friends and followers, many of them artists themselves. There are talking-head interviews and biographical accounts of the influence of his father, the poet and political prisoner Ai Qing, as well as a section on the decade Ai spent in New York in the 1980s. But it’s the reportage scenes, at home, in the studio or out and about with Ai, that prove most engaging. 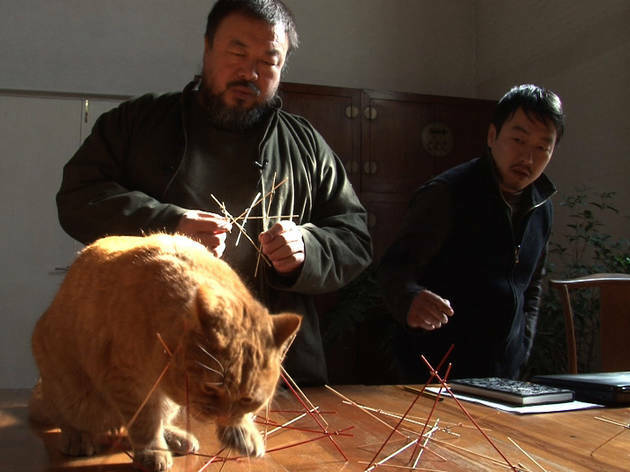 The film follows the artist as he tries to take legal action against the Chengdu police for assaulting him in 2009 during a 12-hour detention aimed at preventing him from testifying at the trial of Tan Zuoren, a fellow activist. Like Ai, Tan has campaigned for his government to reveal more about the 2008 earthquake in Sichuan. Also illuminating are scenes of Ai with his mother (‘Every night I can’t sleep,’ she says to him, crying. ‘I’m worried I won’t see you again’) and his young son, whom he admits he fathered outside his marriage. Ai comes across as a bold, wilful and uncompromising figure, and scenes of him being followed by the police and clashing with them are shocking. The professional context to the film is Ai’s preparation for autumn shows at the São Paulo Biennale and Tate Modern, but what comes across is that everyday communication, right down to his use of Twitter, is as important to his work as planning long-term projects. In terms of getting his message out to a wider audience, this film simply and effectively serves as part of the cause.